It's summer. That means ice cream, beaches, frivolity, and working 60 hours a week. Never stop looking for scholarships just because it’s summer! Many scholarship applications are due throughout the summer or early in the fall, and it’s important to find and apply for them when most other applicants are tanning on the beach (or, bring your laptop to the beach and tan while you apply—how many jobs combine great pay and a great tan?). In fact, summer is the perfect time to ramp up your scholarship search. 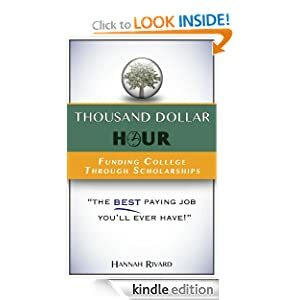 Once school starts, you’re going to be busy with the two hundred activities you’ve overcommitted to, and it will be a lot harder to carve out time to work on scholarships -- and fund college through them.